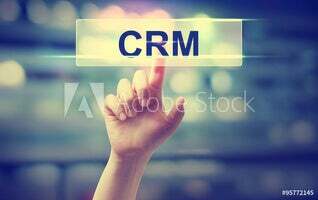 A Customer Relationship Management (CRM) system is a vital tool in the arsenal of modern charities. After all, the success of any nonprofit organisation hinges on its ability to build support, retain existing donors and manage projects efficiently. And this, in a nutshell, is what a CRM system helps you do. We reviewed the top six providers that specialise in CRM for charities in the UK. We looked at the features they offer, the benefits, and the pricing structure. Read on for a summary of each and if you like what you read fill in the webform at the top of the page to request tailored quotes. Salesforce is one of the largest CRM providers globally, with big name clients including Aston Martin, AXA and Ocado. The company’s tailored CRM for charities, Salesforce for Nonprofits, promises to “connect everything that matters on a single platform”, with a range of industry-specific features to help you retain existing donors, engage new ones and monitor resources and fundraising. Salesforce also claims that its software increases donor retention by an impressive 24%. And while self-reported figures should be taken with a (rather large) pinch of salt, it’s hard not to be impressed by the sheer number of dedicated tools on offer. From a handy dashboard for tracking donations, to email marketing, and deep-dive analytics, Salesforce for Nonprofits does it all. Registered charities can apply for 10 free licenses through Salesforce’s Power of Us programme. After that licenses are charged at £120 per user, per month. 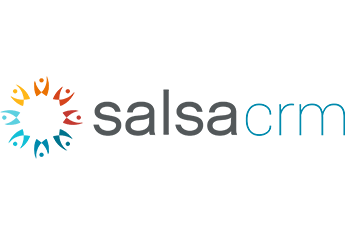 Salsa CRM is a dedicated nonprofits platform with functions spanning digital marketing, online fundraising, donor engagement and peer-to-peer fundraising. They offer tailored solutions for charities from all across the sector — from animal and wildlife trusts, to civil rights and social justice organisations. The standout feature of Salsa CRM is its innovative peer-to-peer fundraising module. 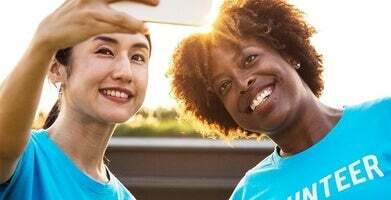 Engineered to leverage the 43% of millennials who donate via dedicated peer-to-peer platforms, it allows volunteers to set up a custom fundraising page and share it with their friends across social media. This feature alone makes Salsa one of the top CRM systems for charities — and that’s before you factor in all the other great tools. Salsa’s pricing is bespoke, so you’ll need to request a quote to get an accurate idea of cost. Looking for the right CRM software for your charity? 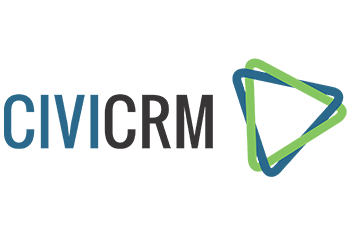 CiviCRM is cloud-based, open source CRM solution. It’s an excellent choice for mid to large-sized organisations looking for a fully customisable CRM for charities to integrate with their existing content management system. The software itself is completely free, with downloaders being encouraged to make a donation to help support the platform. CiviCRM software also provides a fully integrated, easy-to-use interface through which you can manage all aspects of your charity’s day-to-day activities. There are specific tools for monitoring both volunteer and donor engagement, and over 40 templated reports to keep you across pre-defined key performance indicators. CiviCRM is free charity database software. Yes, that’s right: it’s completely free. But developers welcome financial support through one-time donations, and memberships and sponsorships starting at £7 a month. 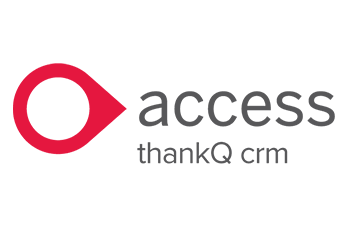 Trusted by over 1,200 charities in the UK alone, thankQ CRM is firmly established as one of the world’s leading membership and charity database software providers. The company offers a full suite of reporting and analytics tools, as well as a dedicated alumni development module to help you identify and engage potential donors with targeted marketing. thankQ offers tailored packages for marketing, fundraising and membership management. And it’s modular, so you only pay for what you need. Prices are bespoke, so you’ll need to request a quote tailored to your business. 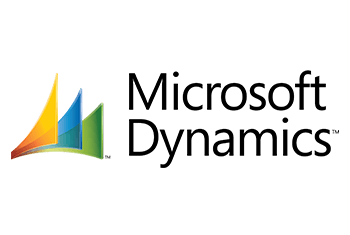 Serving over 40,000 companies and a whopping 4.4 million users worldwide, Microsoft Dynamics CRM is a true giant of the industry. Microsoft users will be familiar with the intuitive layout of the CRM software, and programmes such as Outlook and Office 365 are easily integrated to help you streamline workflow processes. Unlike some CRM systems for nonprofits, Microsoft Dynamics is modular. So you only pay for what you need and functionality can be adjusted requirements change. Prices start at £86.70 per user, per month for Microsoft’s basic CRM for charities. The mid-range price package comes in at £143.27 per user, per month. And an advanced system is priced at £158.36 per user, per month. Looking for a CRM software for your nonprofit? Charitylog is used by over 400 charities and not-for-profit organisations to integrate and analyse data, and monitor projects. With a strong emphasis on enabling collaboration, the company has built a range of reliable and easy-to-use cloud-based products, helping to establish Charitylog a favourite CRM for small charities in the UK. The software is tailored to your charity’s needs, and innovative features for collaboration allow you to share data easily and securely with partner organisations. Charitylog’s pricing starts at £33 per month for up to ten users. Modules for managing volunteers and members cost an additional £5 per month each. So now you’ve read our reviews of the best CRM systems for nonprofit organisations, what next? Well, this is where we’d like to help. Simply click on the button below and fill in our webform to receive free quotes from up to four leading charity CRM providers. It’s guaranteed to save you time — and it could save you money. A CRM system is software that helps you to manage client and donor relationships by tracking their interaction with your charity. In its most basic form, CRM software is a database of up-to-date contact information, but through leveraging this data in clever ways it becomes so much more. Donor management: A dedicated CRM for nonprofits includes charity database software to help you manage your existing donors more effectively. View giving history, monitor direct debits and even track events attended — all from one handy dashboard. Grow your support: Engage new audiences with targeted emails and marketing. Your CRM software becomes a central hub for information, allowing you to coordinate fundraising campaigns more effectively with both donors and volunteers. Big-picture insight: Through detailed reports and analytics, a CRM system gives you a 360 view of your organisation and its performance, enabling greater productivity and helping you to get the most from donator money. Which CRM system should I choose? There’s no one-size-fits-all charity CRM solution — which is why our top providers offer tiered pricing to cater for nonprofits large and small. Once you’ve found a price plan within your budget, it’s important to compare features, as these vary from provider to provider and package to package. For advanced analytics you can expect to pay a little more. And some providers offer dedicated fundraising databases for small charities. Is open source CRM right for my charity? If you have tech-savvy staff, it’s worth considering an open source CRM solution. Open source CRM software allows users to edit the computer code behind the programme and customise it to meet their specific needs. Open source CRM systems are a great choice for larger nonprofits with a dedicated tech team; smaller charities are usually better served with an out-of-the-box solution. But as resource is a problem for almost all charitable organisations, we recommend against open source for nonprofits. Because you’ve got more important things to do than spend fiddling around with software programmes. What is a CRM System Architecture?